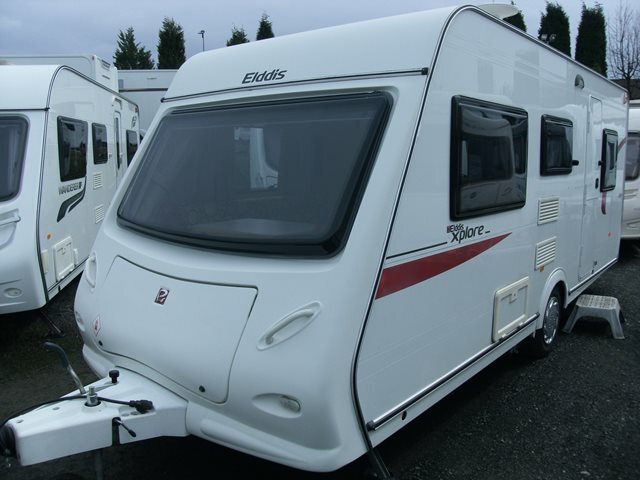 This van from Elddis was part of their popular Xplore range. This five berth 495 features two front bench seats, a double dinette at the rear with fold up bunk, central wash room and central kitchen. This layout allows you to have two separate living areas which can be essential with a family of up to five! It is much lighter than many family caravans allowing it to be towed using more family friendly vehicles, however it still includes blown air heating, full oven with grill and gas hobs, cassette toilet, shower and 3 way fridge. The Xplore is in excellent condition and also has a motor mover fitted so is well worth viewing. For further information please contact us on 01384 413336 and ask for a member of the sales team.